Someday, Chinese manufacturer Xiaomi will actually sell its handsets in the U.S. Until that happens, we can only look toward China to see what the company is doing. And thanks to a post on the verified Weibo account of company president Lin Bin (via Android Authority) we can assume that Xiaomi is working on a phone sporting a 48MP camera. We reach that conclusion because of a picture on Bin's page showing what appears to be a rear-facing smartphone camera with a branding that reads 48MP Camera. The post adds that this device is expected to be released next month. Sony (IMX586) and Samsung (ISOCELL Bright GM1) both have developed a 48MP sensor, and either one could end up in this handset. It does appear that at the least, this device will have a dual camera setup vertically mounted on the top left, on the back of the phone. There is some speculation that this could be the firm's next flagship model, the Xiaomi Mi 9. If Xiaomi does become the first to launch a phone sporting a 48MP camera, it will top the 41MP sensor employed on 2013's Nokia Lumia 1020, and the 40MP RGB sensor found on this year's Huawei P20 Pro. The latter was part of a triple camera setup that included a 20MP monochrome sensor, and an 8MP sensor offering 3x zoom. Good. More for the rest of the world. Americans buy iPhones and Samsung anyway. Lol. Exactly. They're completely brainwashed by those two brands. Same thing happened when Japanese cars were introduced in the 70's and Korean cars in the 80's. Because being brainwashed by cheap Chinese brands is brag worthy? Yep. Without those cheap Chinese brands phone innovation would be stuck in 2015 where Apple is. At least Samsung innovate. PA forgot about the Nokia 808. 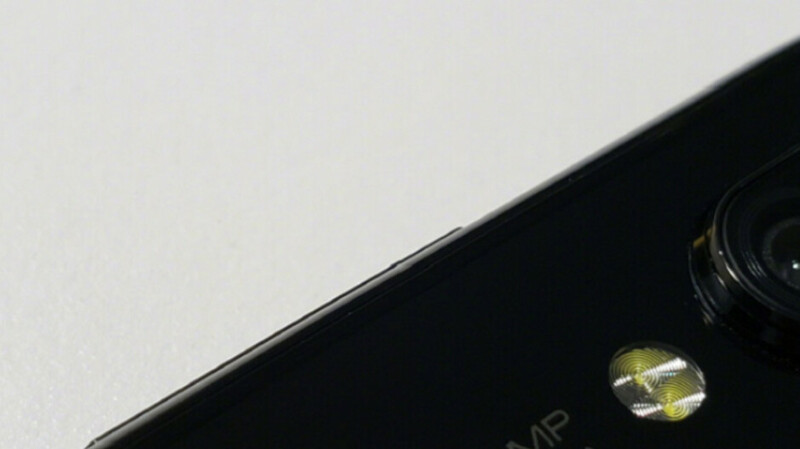 48 is ideal, actually it will probably output clean 12MP pictures combining 4 pixels into one. Maybe also for video.